SF society Zemlemoria – Varna, Bulgaria. SF and Prognostics Society – Sofia, Bulgaria. 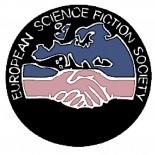 Estonian Science Fiction Association. News on Estcon and other local activities. Aktuelle Neuigkeiten aus SF & Fandom (Florian Breitsameter). Extensive news-site. scifi.hu – The Gate to the Universe.